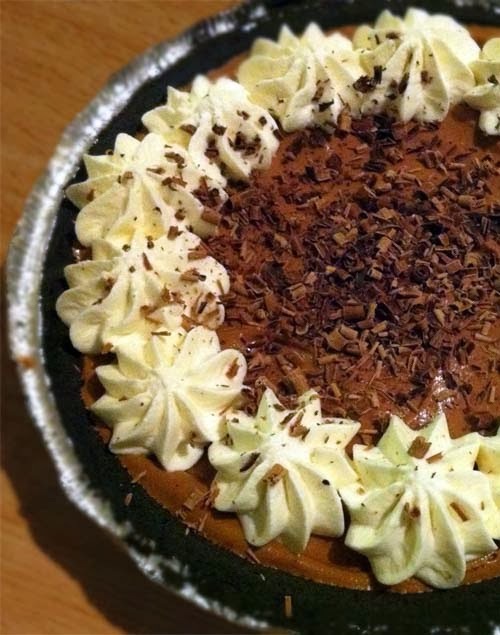 For this marvelous treat, a premade Oreo pie crust was used. The recipe is adapted from Taste of Home. Only the instruction and ingredients for the filling were followed. In a small saucepan, combine sugar and eggs until well blended. Cook over low heat, stirring constantly, until mixture reaches 160° and coats the back of a metal spoon. Remove from the heat. Stir in chocolate and vanilla until smooth. Cool to lukewarm (90°), stirring occasionally. Also check out the recipe for tiramisu cheesecake.